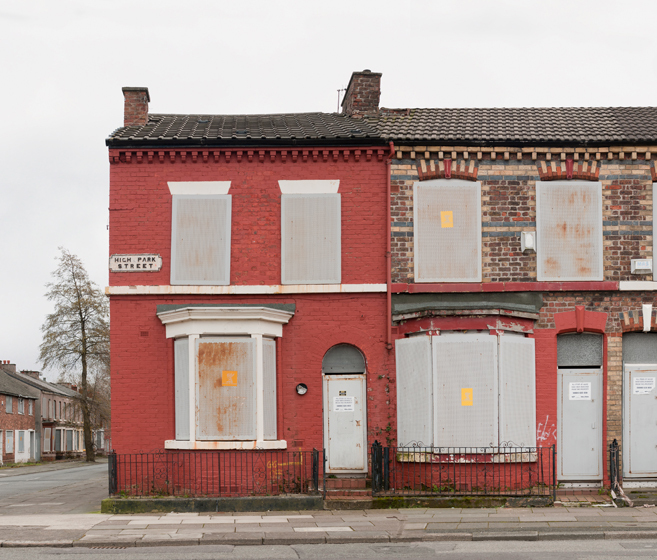 In Europe, there were around 11 million empty and unoccupied homes in 2016, of which 600,000 were in England (200 000 classed as long-term empty). 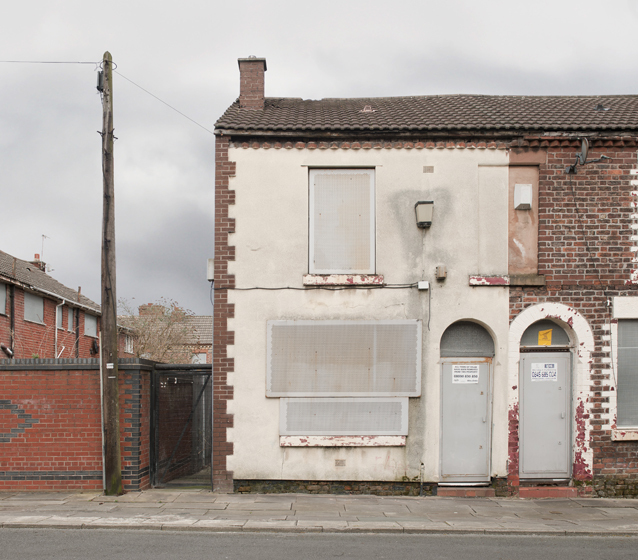 Large scale vacancy in cities is often a sign of great upheaval within the urban space. 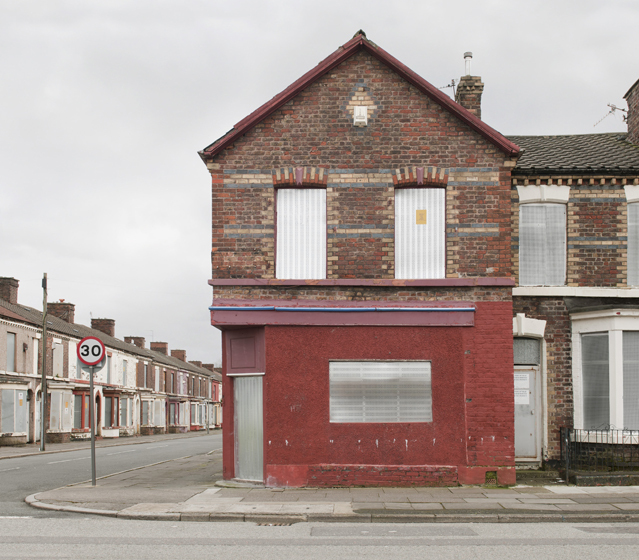 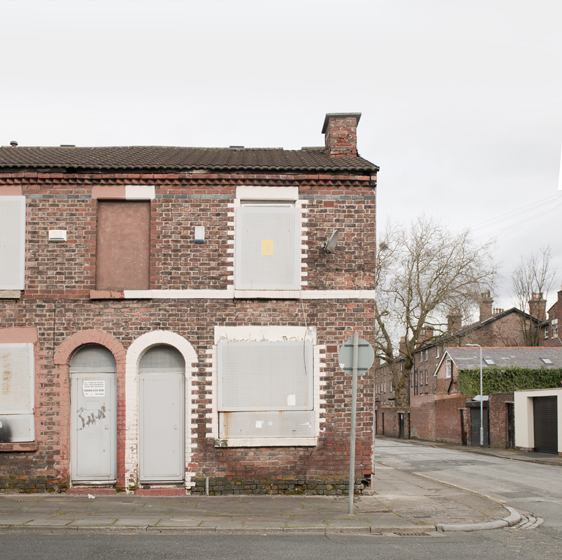 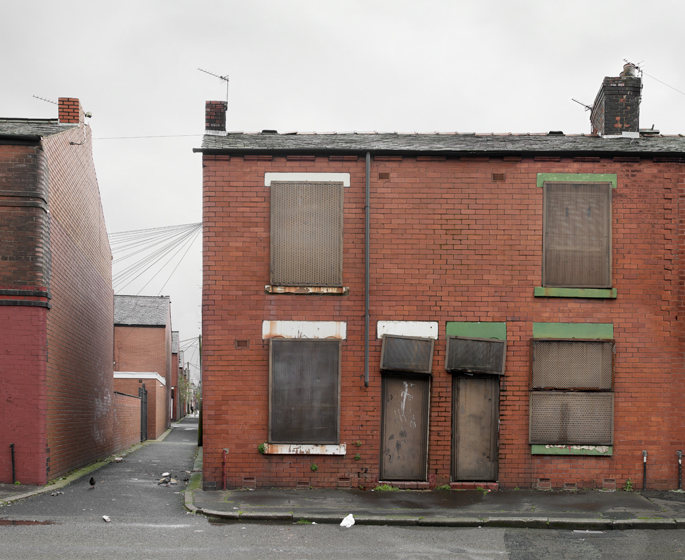 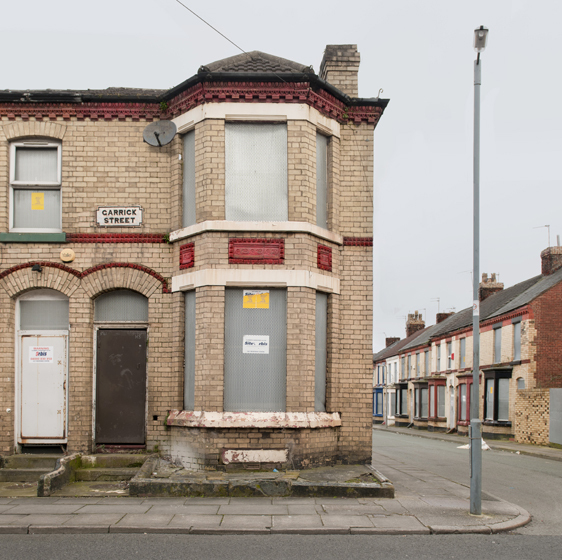 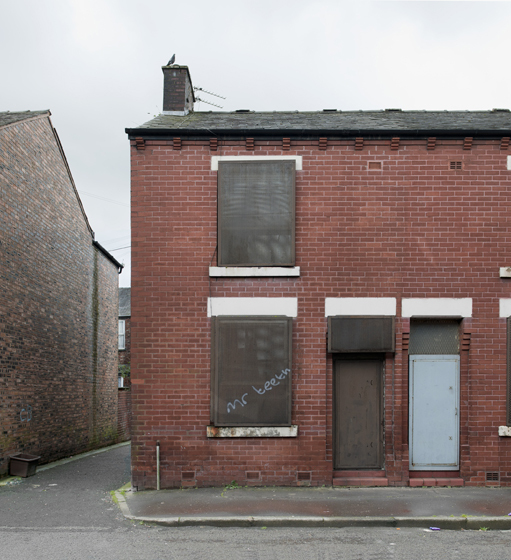 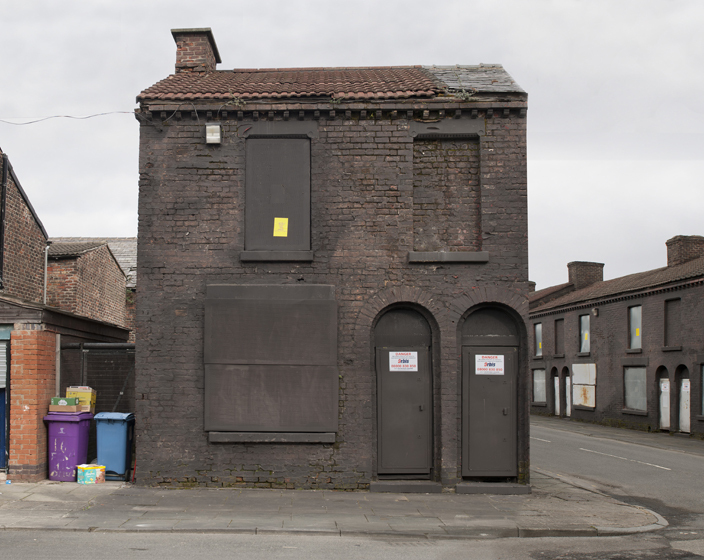 Focusing on typical Victorian working class terraced houses in post-industrial Liverpool and Manchester, the project highlights the sheer volume of long-term vacancies in England to create a critical reflection about the extensive amount of unoccupied homes in England as well as in Europe in relation to the social housing market. 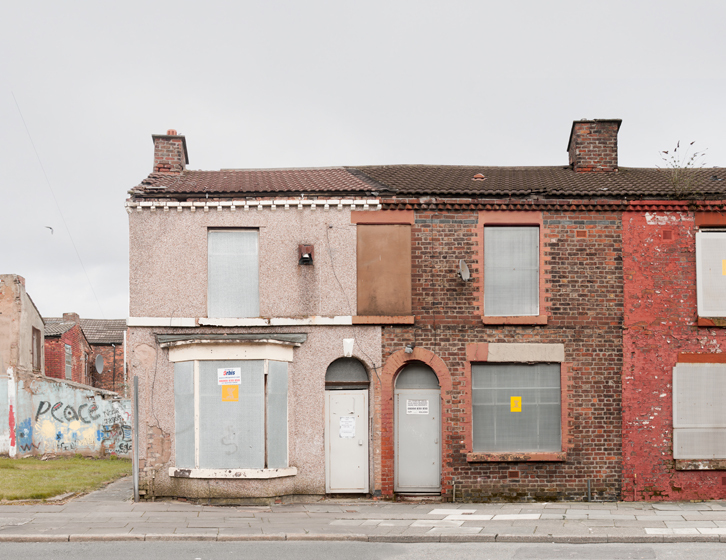 When before, these historical houses symbolized the collective past of a flourishing industry and a strong working class and community, nowadays in some former industrial cities many hundreds of houses in fairly good conditions stand abandoned and boarded-up awaiting demolition. 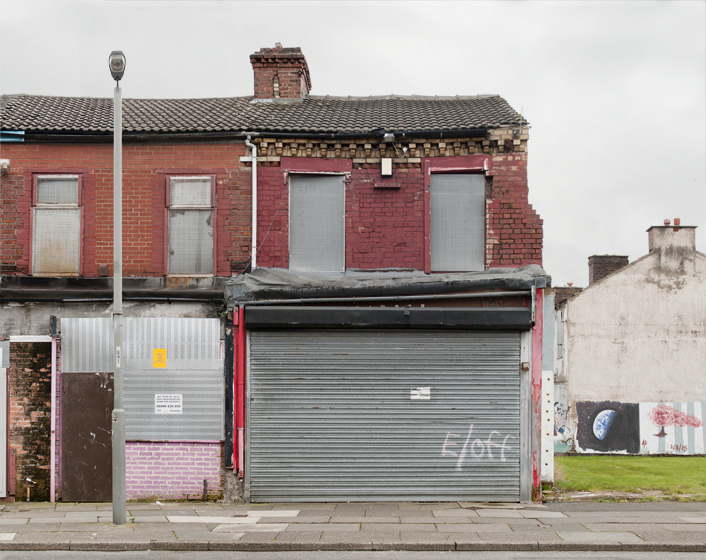 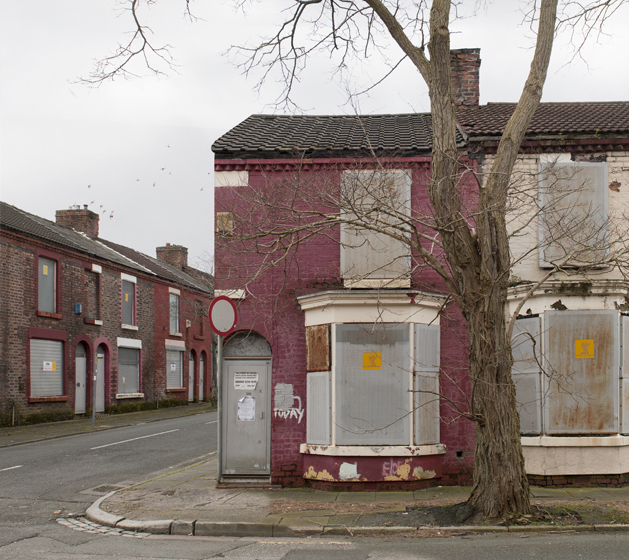 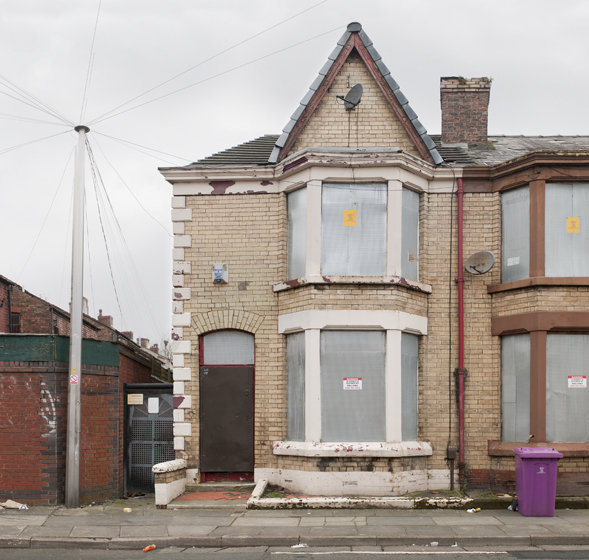 A link to additional video material created alongside the photographs, documenting the derelict areas.